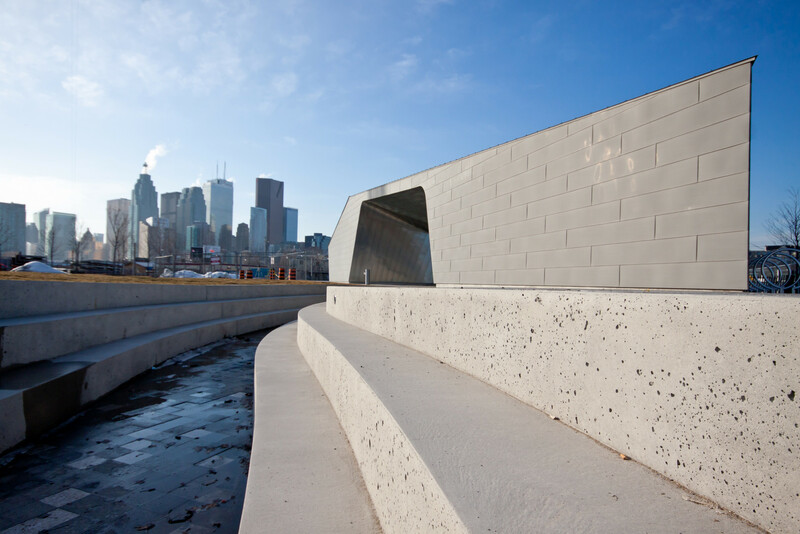 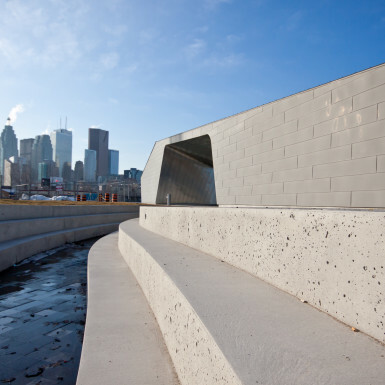 A significant new public space on Toronto’s waterfront, Sherbourne Park is conceived as a memory of a lost landscape. 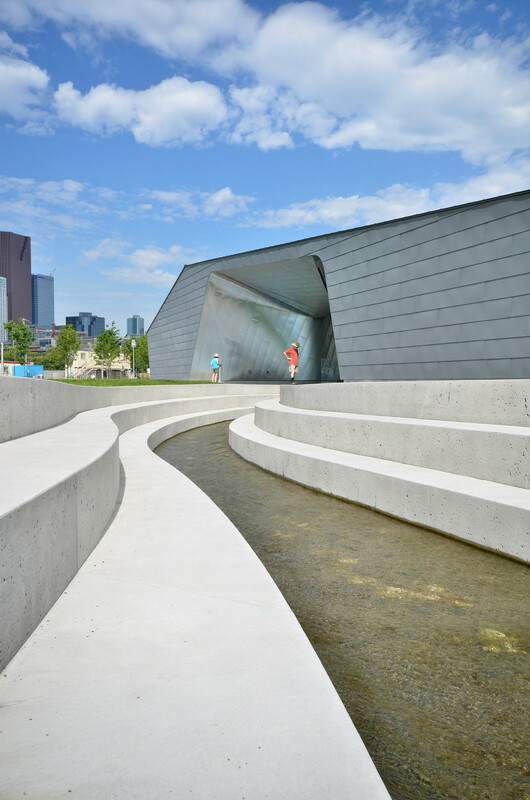 The park design is a contemporary topographic abstraction of a pure stream, reminiscent of the one that used to run through the historic site. 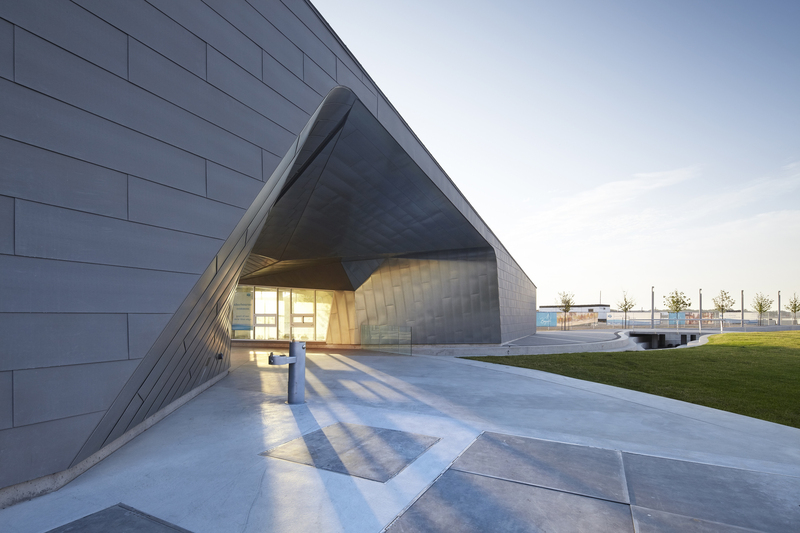 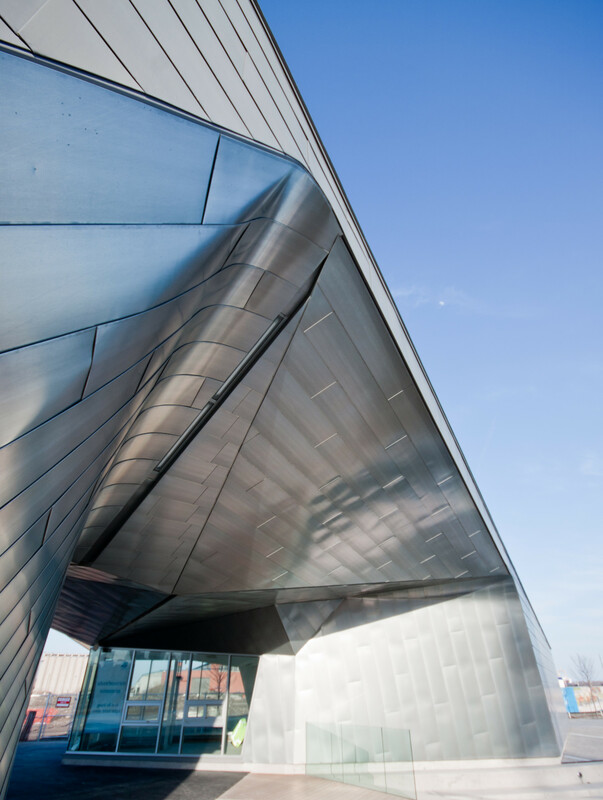 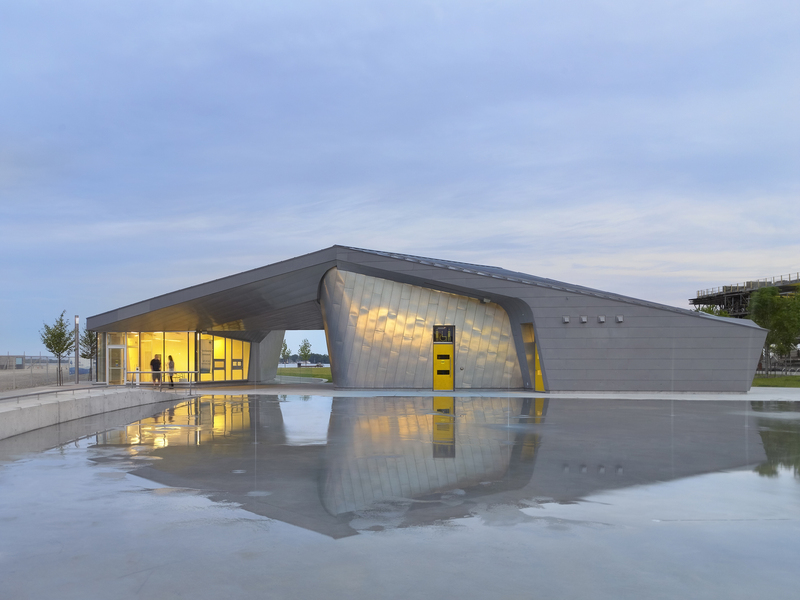 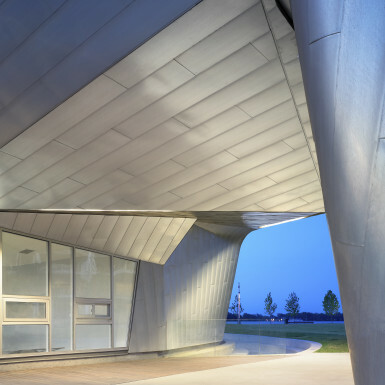 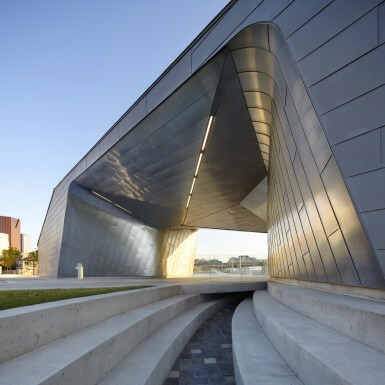 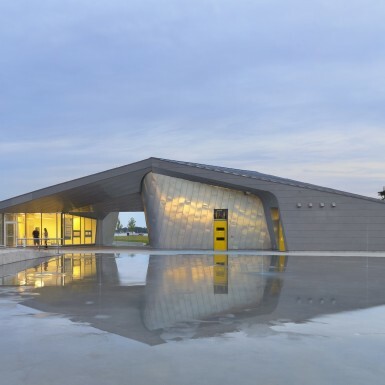 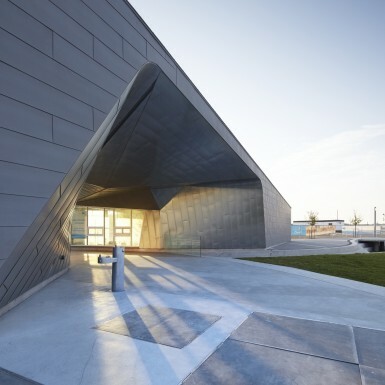 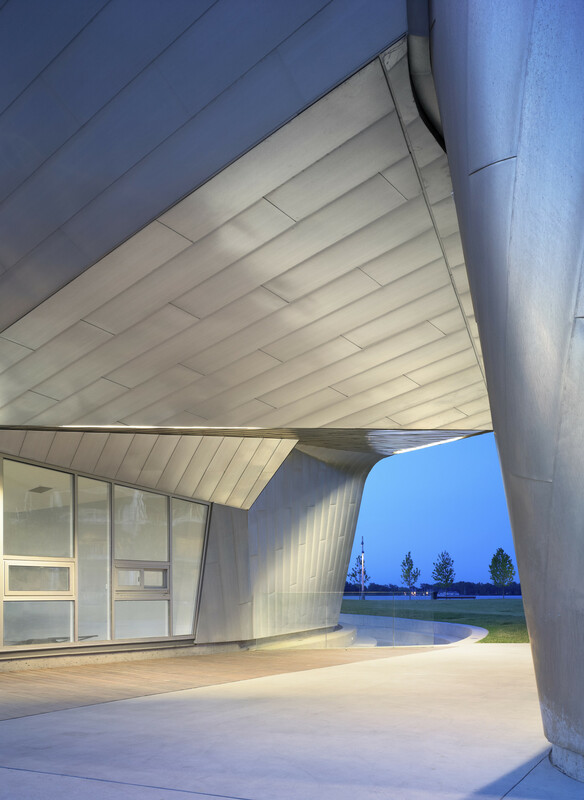 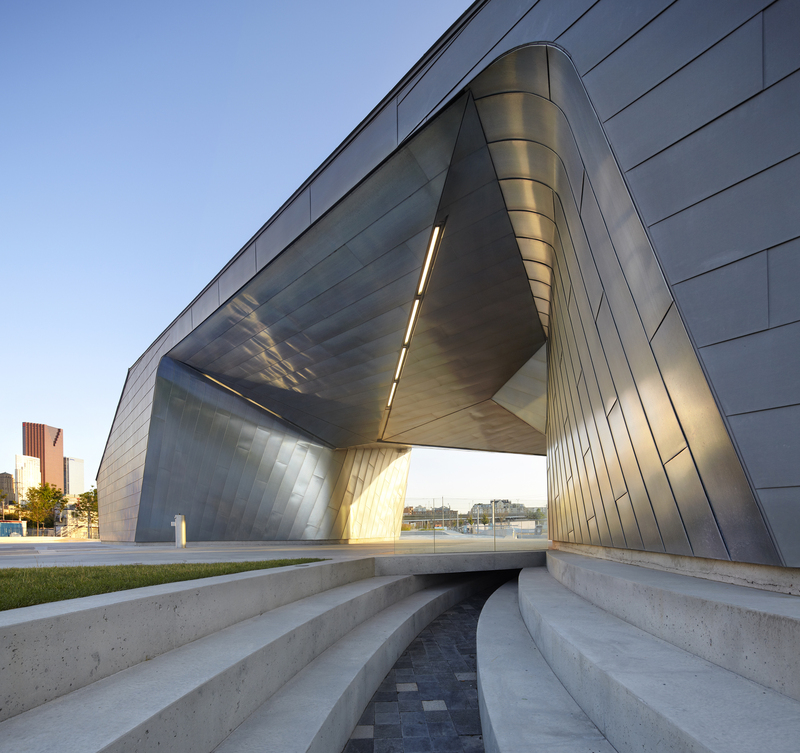 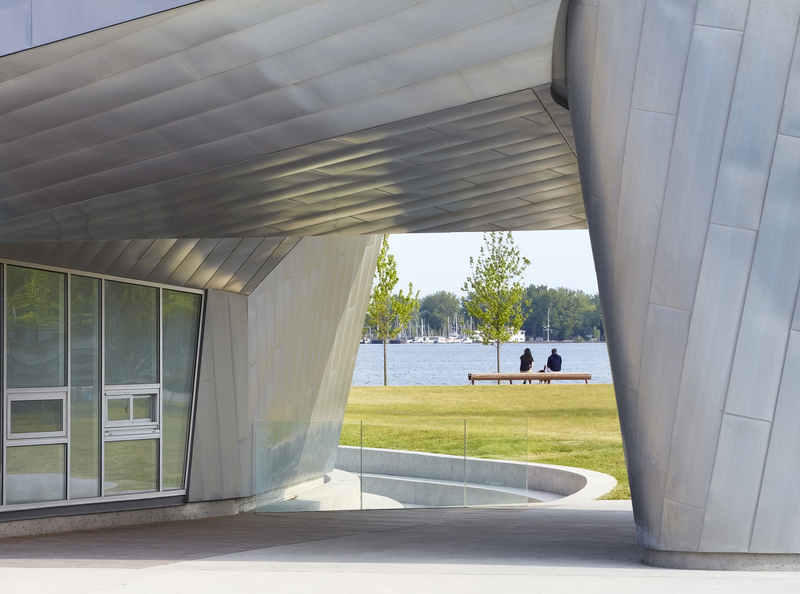 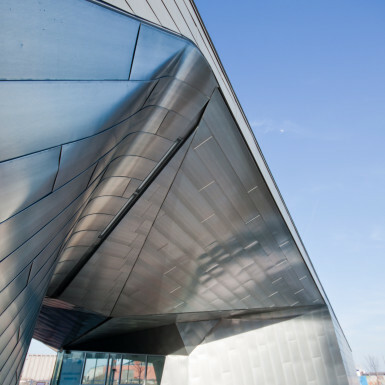 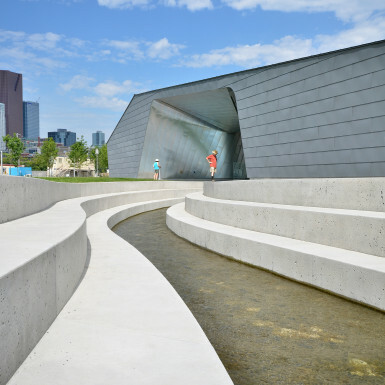 The sculptural form of the pavilion was generated through extensive collaboration with landscape architects, artists and civil engineers responsible for the storm water purification for the entire waterfront. 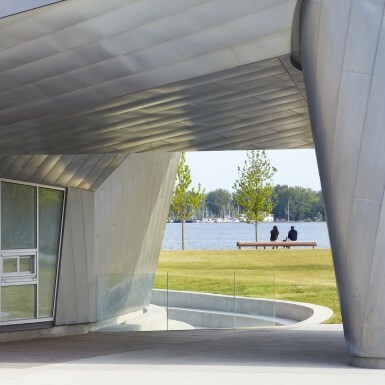 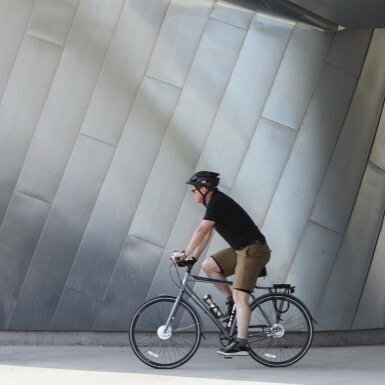 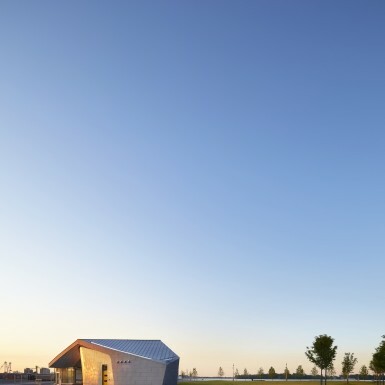 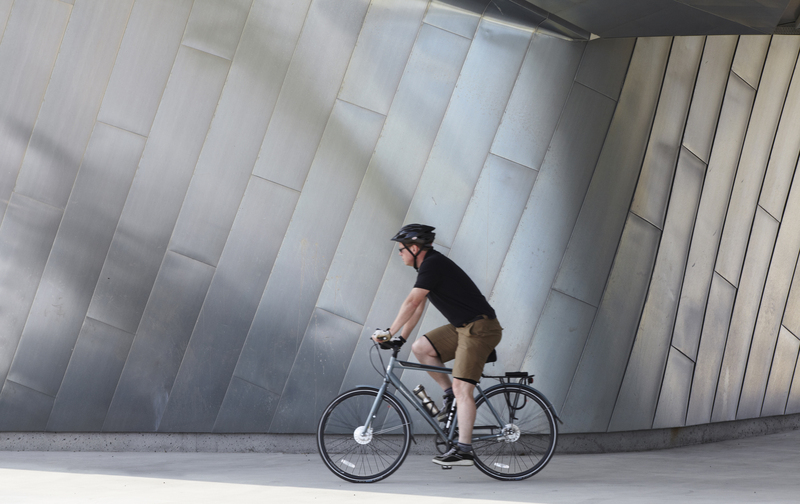 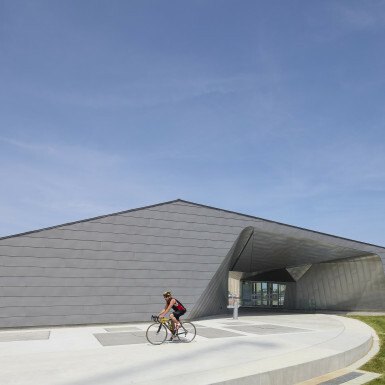 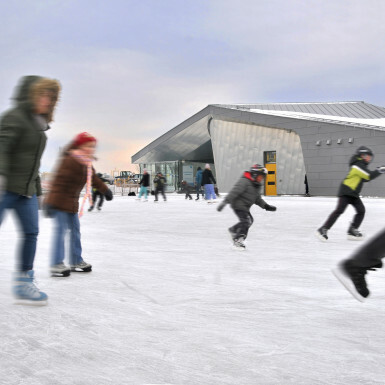 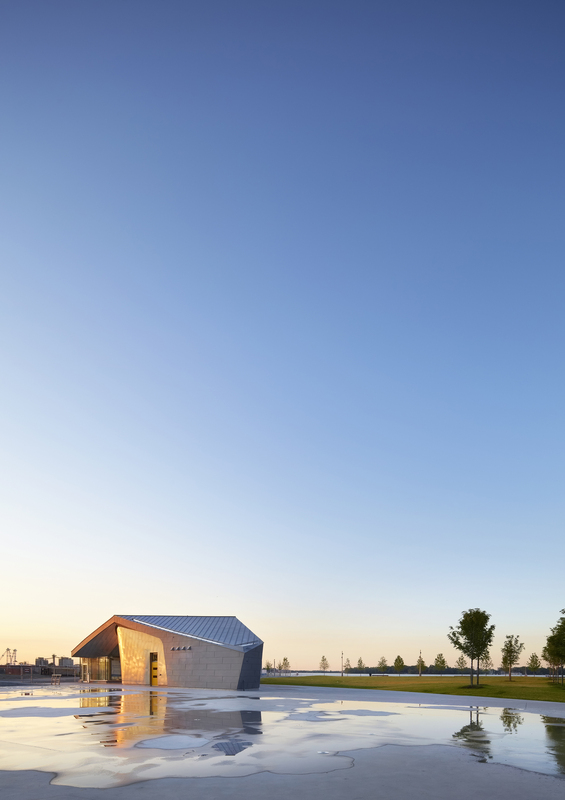 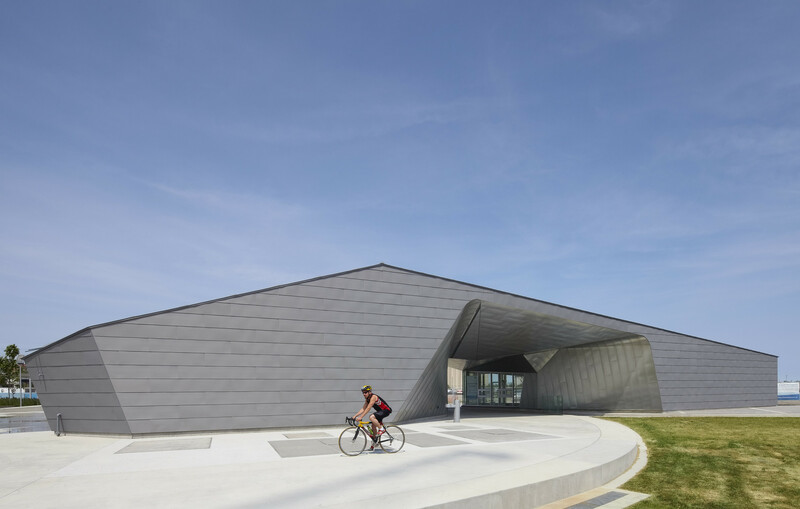 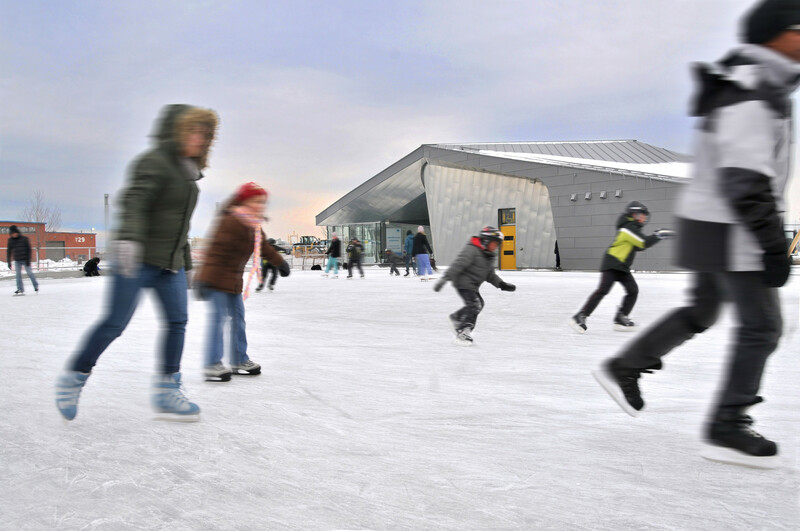 It is a physical embodiment of the overall vision for the park that focuses on public interaction and connection to water, specifically Lake Ontario.